llis Amdur has pursued the study of East Asian martial traditions since the late 1960s. He is a licensed instructor in two koryū (classical Japanese martial traditions), the Araki-ryu Torite-Kogusoku and the Toda-ha Buko-ryu. The Araki-ryu is a rugged system that specializes in close combat. 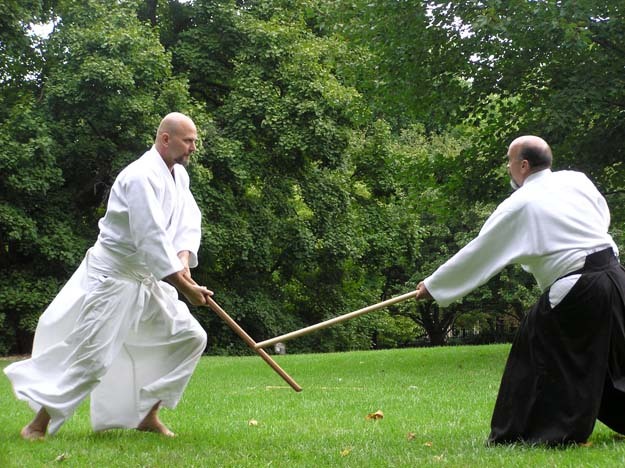 It could be termed, “grappling with weapons.” The Toda-ha Buko-ryu specializes in the use of the naginata, a long pole-arm with a curved blade against a variety of weapons. Details about this school, including dojo locations and entry requirements can be found at the Toda-ha Buko-ryu website. Over the years, he has trained in a number of other martial systems, most notably Aikido, Judo, Brazilian jiujitsu.and xingyi chu’an (studying varying lengths of time with Su Dong Chen, Chris Bates and Zhang Yun). Aside from his ongoing koryū training, Amdur has most recently been training in two new areas: the basics of Arrestling, under the instruction of Don Gulla and many other seniors in the system, and a focus on principle-based training regarding integration of the body so that it is used most efficiently, something he discusses in detail in his book, Hidden in Plain Sight. However it is in regards to the koryū that he is best known, and he included considerable detail about these two schools, as well as a number of others, in his ground-breaking book, Old School: Essays on Japanese Martial Traditions (2002). Now, over a decade later, he returns to the subject with a new, expanded edition, nearly half again the size of the original. Ellis took some time to discuss common misunderstandings about koryū, challenges in maintaining and transmitting archaic martial traditions in the modern world, and even a few thoughts about the growing movement in redeveloping Historical European Martial Arts (HEMA) from the perspective of an inheritor of two, living martial traditions. Ellis Amdur practicing Toda-ha Buko Ryu, a centuries-old school of Japanese martial arts focusing on the use of the naginata, or glaive. Q: Over the last two decades, far more westerners have discovered Japanese koryū, and in many cases have begun studying some of these traditions, but for those who are not “initiates” into such a tradition, what really makes the “old schools” different from modern budō such as aikidō, judō or kendō besides antiquity? In a way, the difference between koryū and modern budō is a complete inversion. Arts like judō are vast, world-wide endeavors that are, at least in broad terms, the same whether you are in Japan, the United States or South America. By contrast, koryū are small, group endeavors, passed down in a lineal fashion of master-apprentice. They exist as small islands in a larger sea of martial endeavor. Furthermore, each ryū is far more technically distinct than the variations between different factions of aikidō or karate. But the differences go beyond the mechanics of the art to an ideological mindset, that exists in a totality that simply isn’t found in modern budō . Koryū are a kind of surrogate family — a student knows all of the instructors of the art, and the headmaster of the entire school often knows every student within the school. By contrast, people in modern budō may be passionate about their art, they may love their local dojo or teacher, but they usually don’t feel a fierce, family loyalty to judō itself. Belonging to a koryū is a hermetic activity in the sense that members are expected to keep some aspects of the school, even most, private and secret. There remains an us-against-them mentality that existed once upon a time when these arts were used in real life and death struggle, played out on the Japanese socio-political stage. This former rivalry persists in a set of rules and traditions that at their core are not about self-growth, personal development or well-being, but in the idea of the initiate being loyal to their school above all else. This is congruent with Japanese culture, which was a culture of martial service, where its greatest heroes were those who did their duty, at great personal cost. This difference of refinement of self versus service to one’s art, underlies everything that distinguishes, for example, Kano’s judō from the classical jujutsu schools it grew from. Q: If an outsider reads various budō forums there is so much discussion about certain recurring questions about koryū these days, one gets the impression of a vigorous, vast community of traditional martial artists in Japan. What is the reality — do you consider Japan’s traditional arts “endangered”, “stable” or “growing”? All of them! As flippant as that sounds, it is really true, because in a certain sense, what makes a traditional school “successful” or “endangered” has to be evaluated school by school. The idea of a monolithic category of traditional arts is an illusion. Arts from different periods have different characters, just as much as they do different techniques. Some of the oldest arts were threatened centuries ago, when Japan entered the long peace of the Edo period. Despite the idea of koryū as “warfare” arts, there are maybe 20 arts today that have any relevance to archaic, battlefield combat; the rest were either born in the generations after Tokugawa reunited the country, or went through so much evolution and adaptation during that era that their curriculum reflects the concerns of civilian combat and dueling, not warfare. Compared to modern martial arts, there are few in Japan that train in the koryū , fewer that teach, and even fewer that can understand the mindset tied to these arts, even among the fully licensed instructors. So in this sense the koryū are endangered. On the other hand, one of Japan’s strongest values is it’s treasuring of tradition, so there are always those who will be interested in something old. That gives a certain stability to archaic arts that we don’t have in the West. What really endangers koryū is the need for personal transmission. When I said that koryū as a category can be said to be growing and endangered at the same time, I could say this of individual koryū as well! When the numbers get big, paradoxically, that does not mean that the art is doing well, because — although the students may be learning the techniques they are not receiving the tradition, only a simulacrum of it. When you are a member of a martial organization, with a teacher whom you see once a year, who may or may not even speak your language, nor you his, then you are in a sense studying about a koryū but are not really studying a koryū itself — the method of transmission and the intimacy of the school is lost. How different ryu have responded to this challenge is a part of what I touch on in this new edition of the book. Kata, or set forms, are the central practice of training with weapons in Japanese koryu. Q: There are also certain recurring replies by those within one of these schools: “it is impossible to understand the difference if you are not a member of a tradition”, “ask your sensei”, “koryū can’t really be transmitted outside of Japan” and so forth. As something of a notorious martial iconoclast, if there was any one thing you would say that insiders don’t “get” about what makes the koryū what they are, what is it? Let’s answer that by elaborating what they are NOT; you don’t join a school and learn the choreography of a sword fight. The kata are pattern drills, and those forms sometimes have more to do with how to organize the body, how to develop a specific physical or mental attribute, rather than a simple technique detailing “if he does this, then you do that”. Sometimes a given element is so important that the kata may not look very martial, even sloppy or stupid to an outsider, but what it is developing has nothing to do with a replica of “combat”, but to train a specific attribute. Honestly, I don’t see why this is so controversial today. No one would suggest that the ideal way to train with firearms is to load live rounds, put on vests and shoot at each other! Instead we use a combination of range work, obstacle course-style training and mock-guns that allow the experience of shooting at each other, but are not the same as using real guns in a gunfight. The reality of training with weapons is to make either the weapons or the environment as realistic as you can make it, while keeping the psychological component intact. And different training highlights different aspects of the totality of the skill that you are trying to achieve. Combative training must rely on some form of pattern drill, or the mock weapons are supplemented with so much safety gear that the students no longer behave like people in a real fight. This is even more necessary and true today, when we not only lack the experience of teachers who have used these archaic weapons in mortal combat, because our bodies simply lack the physicality of strength and flexibility of a pre-industrial society. A man who walks and rides horses as his only means of transportation; who chops his own wood and works in a barefoot crouch for hours at a time, simply has a different musculature, a different plasticity to his tendons then a modern man who works at a desk. The kata were designed for the former man, where literally every waking moment was preparation of the body in a way that we can only mimic with supplemental exercise today. 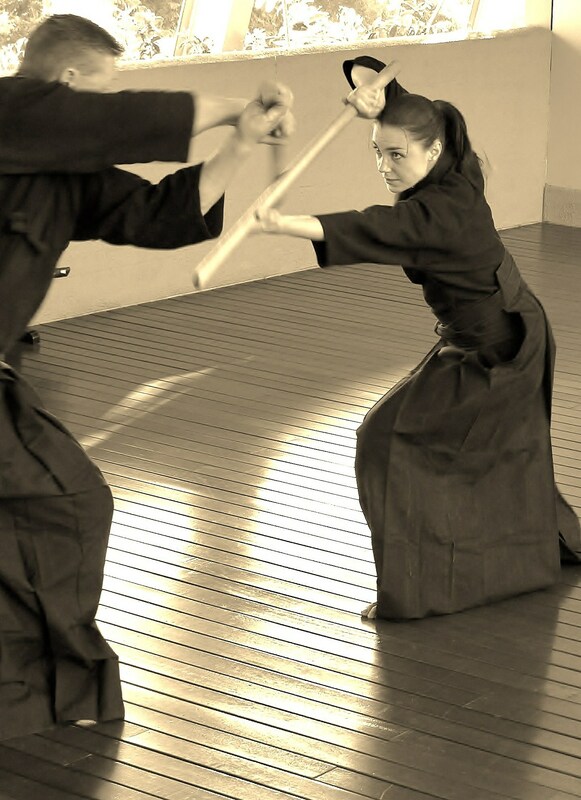 So some of the kata of koryū can be a disappointment as one realizes that rather than engaging in samurai live-action role-play, you may spend years learning patterns that are not only teaching archaic weapons and methods, but also archaic ways of coordinating one’s body. Let me put it this way: You want to join a koryū ? Prepare to not only work hard, but to be bored while you are doing it. It comes with the territory. Q: It has been over a decade since you published the first edition of OLD SCHOOL, and at various point and times you have said that you felt you’d written all you had to say on Japanese koryū. So what made you change your mind, and why return to the subject now? Well, I’ve been training! I still consider my own training on the upward slope — even as parts of my body have broken down with age, I’ve been able to do a great deal of pressure testing my own tradition’s kata, and I simply have learned more. The other thing is that I have continued to research on an academic level — and there is a lot of wonderful new research coming out in the Japanese martial arts. Most people’s understanding of koryū and modern budō in context comes from the pioneering work of Donn Draeger, that marvelous giant of a man. Don was truly a ground-breaker, but he was not terribly fluent in Japan and was too reliant on the work of others, and on looking at the arts through the specific lens of traditions he studied. He made a specific perspective general. Others now are reassessing his conclusions. Michael Wert, Karl Friday, William Bodiford — these are trained scholars who can read primary documents and are high level practitioners. What they, among others, have revealed has really transformed my own understanding and a made a reevaluation worthwhile. 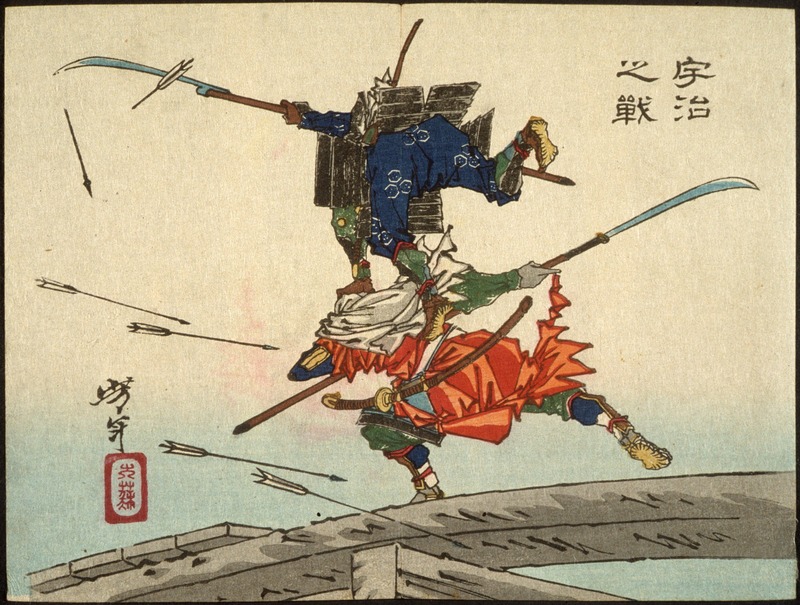 “The Battle of Uji Bridge” — A brilliant example of the dynamic illustration of combat in feudal Japanese artwork. Q: The obvious question: what’s new and different about this expanded edition? It really is a virtually new work, with five new chapters, a lot of new illustrations, and I’ve re-written several chapters not just in additional content, but changed viewpoints as well. For example, by the mid-Edo period, the bulk of the membership in martial ryu were not from the warrior class. For many, the ryu could be viewed much like parvenus today joining a golf or tennis club to acquire social capital. I write about the rise of competitive martial sports in the 17th century and rather than merely supporting the claim that this represented degeneration, take the position that this was a response to, what was, in many cases, a stagnation of older combative practices that were now “as-if” rather than practical utility. I’m not sure on word count, but I think we concluded that somewhere over a third of the book is absolutely new. Other chapters are radically revised—some folks who have used my work to buttress their own opinions may find that my current work puts them in opposition to me. I think the “expanded” part is well-justified! Q: A great deal of the OLD SCHOOL EXPANDED EDITION deals with the challenge of transmission — of maintaining both tradition, form and martial vigor to something that now lives outside its original cultural context. Obviously a great deal of this is reliant upon the power of living tradition — direct transmission from master to student. But are their pitfalls inherent to a reliance on direct transmission as well? Although many of my peers would disagree with me, I see studying with a teacher koryū to be a kind of struggle, not submission. Intimacy is the revelation of self — for better or worse you will be revealed to your teacher, and your teacher to yourself. Part of the learning is the struggle of learning not what you want, but what the teacher desires, and further, what the tradition itself demands. This entails learning to differentiate between your teacher’s human flaws vs. the value of the school itself. There is a dynamic, creative struggle that is a parallel to the nature of conflict itself. If you are loyal to the teacher, it is hard to go outside of their aegis to learn, and if they have any flaws, be they technical or personal, the product you inherit is flawed as well. Once upon a time, the solution was that young bloods would break off and form new schools, revamping what they thought wrong, missing or incomplete in their former instruction — this is how we have so many branches of Ittō Ryu or Yoshin Ryu. With many schools, the kata will seem almost identical, technically, but there may be a difference in the tactics, in ways of generating power or subtleties of movement. These reveal how that off-shoot differed from what its parent taught. Obviously, when these arts were contemporary, the proof could be in the testing: something new that wasn’t very good wasn’t prone to survival. But today, these arts are archaic, and have been for generations. There was a time that some students would master multiple schools over a life time; now individuals study 30, 40, 50 years without every receiving a menkyo kaiden in one! Instead of young masters fighting and old masters teaching refinement and subtlety, now old masters are revered as some sort of supermen — this is ludicrous. 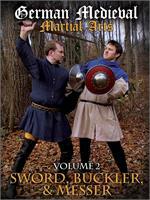 Their knowledge may be great, but age is age, and youth and vigor cannot be ignored in combat. We mystify older teachers and all too-often they mystify themselves. There can manifest as a grasping greed of the elderly, where they simply cannot, and will not let go. It is a new phenomenon, that leads to a real risk of calcification. Honestly, all too often in Japan, I’ve encountered something analogous to an old bull who colludes with the farmer (Japanese culture and tradition) to keep the young bulls away from the cows. But there’s a real potential that his seed gets weaker and his offspring mere shadows of what their ancestors were. Furthermore, there is a real cultural tension created because you can’t really go outside the art to refine, recreate or reinvigorate it without already possessing a full license. If you do so, you will be viewed as disloyal, even betraying the tradition. You may be fully qualified, but kept from a license which would give you the freedom to revivify the tradition. 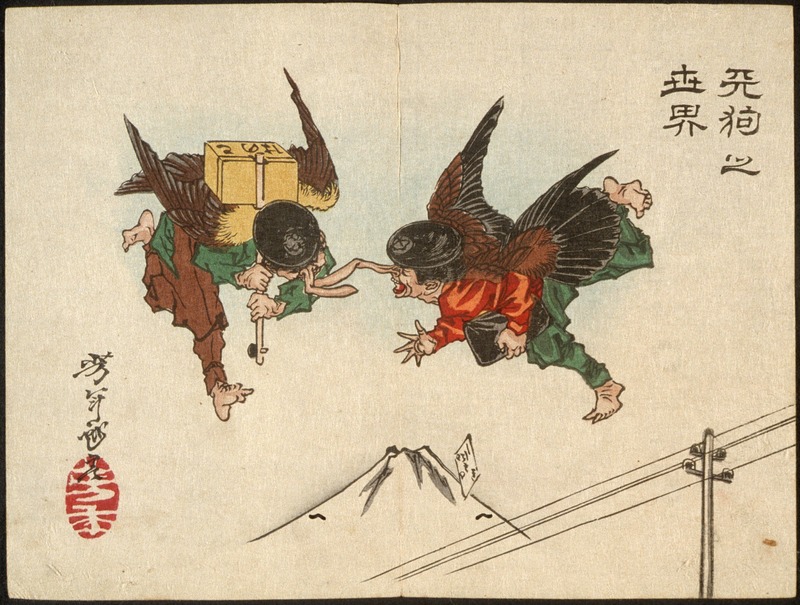 A pair of tengu (winged, mountain spirits) collide in mid-air. As tengu were often credited with teaching martial arts to mortals, the colliding messengers makes a nice metaphor for the challenge in balancing tradition with stultification that challenges proper transmission within the koryu. Q: So is innovation really even still possible within a “traditional art”? There is a creative tension within koryū , within the nature of encoding a form and grasping them within our body — the idea of gokui — that then allows you to change and alter the form itself. Until quite recently, koryū were quite willing to innovate. In some schools, that goes up to the present: innovating or even going into their own records to revise portions of the school were lost. If a person truly has the essence of the school, it is possible, even today, to add or refine not only the inherited kata but the training methodology. Improving archaic weapon morphology is obviously questionable; but what if a portion of the art is relevant today? That opens interesting questions. Some would say koryū are a kind of living history — it would be wrong to change the essence of the school; while others might say that we are studying a living entity with historical roots. Here is an example from my own experience. In my line of Araki ryu, training in sojutsu — spearmanship — is extremely challenging, because the spears are struck with a great deal of force. As a result, if you really do the kata as they are mandated, you break spears constantly. In pre-industrial Japan, so what? Give a woodworker a few coins and let him carve you a bundle of new ones. But today a good, tapered training spear can be $300….so there is a real problem with breaking one every time you train. As a result, what you see are students — and teachers — modifying the technique to go easy on the training weapons. Now, instead of the tool being in service to the form, the kata is in service to the tool! A solution I have been investigating is to have spears made of extruded nylon. These are virtually indestructible, no matter how hard I hit it with a bokken, but nylon is hardly “traditional”. Is this really a problem, or is it using a modern solution to allow students to fight as the technique is meant to be done without obsessing over protecting the weapon? I understand why this solution might really trouble some people, but it depends, in my opinion, on the ryu and what its character mandates. For Araki-ryū, where the transmission suffers without constant challenge—where we are expected to be iconoclastic—I think it is a viable answer to a serious problem. In my other art, Toda-ha Bukō-ryū, where we do not use spears like this, and the kata are not suffering, it would be a modern innovation that serves no good purpose. Remember what I said earlier — the idea of monolithic traditional arts is an illusion. Q: Is that possible? After all, if you change a kata, add one or drop one, aren’t you altering the tradition? Likewise, if a part of an art — say its short-sword curriculum — is no longer practiced, is it possible for a determined teacher to “restore” it? My colleague Liam Keeley wrote about this some time ago in the journal Hoplos, and he came up with different levels of restoration. I am not quite sure that the terminology I am about to use is a perfect match, but I think it is close enough to convey the idea. RECOVERY — In this case, a teacher may still fully know an aspect of the school, but for some reason, has chosen not to teach it. For example, perhaps a weapon school decides that they already teach the longsword and the tanto (knife), and the few short sword kata they possess are redundant or unnecessary. Sometimes, dedicated students will approach other master-level teachers of the previous generation, or perhaps the soke himself, and request they be taught those kata, and the teacher decides “well, if they are interested, why not?” If those students move on to become teachers and the material passes on, then something that could have been lost has been recovered. So in a sense this is like “rescuing” a portion of an art from death. RECREATION means that there is a lost section of the school or there is an attempt to create something new that the school is said to have possessed before, but for which there is no clear documentation. The result can be anything from horrid to sublime. Let’s say that a koryū has lost all of its edged weapon syllabus, and is now a jujutsu school (Sanshin Araki-ryū is an example of this). They simply may not know enough about swordsmanship to recreate the kata, even if they have detailed records. Sometimes, schools will “import” methods or whole kata from another ryu. If the schools are a good stylistic match, maybe this can work, but often you are grafting a bird’s wings to a lion’s back and getting some sort of chimera that may undermine the entire thing. REINVENTION also takes place in Japan. There are many schools that have died out, but their documentation survives. Reinvention is taking something dead and using written records alone to recreate it. The results vary on the quality and prior knowledge of the reinventor. Martially, the results may be viable or effective. But is it really the same school, or something new? Do the reinventors really “have it” from the inside out? They can’t — it’s dead, and a fossil is not a dinosaur. They do not have the essential teachings that were the life-blood of the school, things that are usually transmitted not only orally, but through crossed weapons or body-to-body. And honestly, what’s the point? Why revive an extinct naginata school, for example, when there are perfectly viable extant schools that one could join, and pay one’s dues, earning a level of true expertise. It’s like going to the museum and climbing onto a stuffed horse to ride, when next door, there are stables full of quarterhorses and Appaloosas. THE COLLECTOR is a fifth level that I add to Liam’s categorization, and is somewhat aside from the others. There are many dying schools in Japan, now held by one or two elderly teachers who find themselves without students. Such lonely old men and women will be “befriended” by someone whose principle goal is to then be granted a teaching license to pad their martial resumes. Such men often have multiple schools that they “lead” or hold a high teaching rank, and they have photos with these elderly teachers and antique scrolls to prove their legitimacy. But the truth is that they have often learned virtually nothing, and whatever they may have been shown was from a teacher doing his or her best with a failing body, mind or both, to convey a little of what he had inherited. The Collector, therefore isn’t really a part of the tradition, nor are they seeking to restore or reinvent for the art’s sake, but for their own egos. Q: So how does someone like yourself, an inheritor of two of these transmissions with an obligation to pass on their legacy, make sure that the art’s essence, and not just its form, is passed forward? If I am not absolutely clear that the essence will be passed on, then it dies with me. And I am perfectly content with that. You can’t turn a dog into a wolf, and if I cannot find any wolves, I won’t replace them with carrion eaters. And btw, passing it on does not mean that student does everything the way I do. One of my Toda-ha Bukō-ryū students, Steve Bowman, has indeed become a shihan — teacher — in his own right (this, by the way, makes him a former student, because one “graduates” when one becomes a shihan). Were you to observe him, however, you might be a little puzzled, because he does not move like me. Yet one of his own students, who had met with me maybe four times, was immediately spotted by another Toda-ha Bukō-ryū as a student as “in my lineage.” Steve doesn’t move like me, but he passed on the essence of what I taught him in such a way that one of his students, who is built similar to me, does essentially do what I’ve taught. I don’t require that my students think like me, or are a mirror of me technically, but they perceive and embody the essence of the tradition..
Q: These question are interesting not only to other students of budō, but to our many readers who are devoted student-scholars of Historical European Martial Arts (HEMA) — the fighting arts of Europe from the Middle Ages to the early Modern era. These are not living traditions, but have had to be painstakingly reconstructed from highly-detailed books and manuscripts of the period. Some students and instructors of traditional martial arts roll their eyes at this effort and say “this is a fool’s errand; you can’t resurrect the dead”, while a number of HEMA people argue, “this may be true, but these are the direct teachings of the men who fought and died with these arts, so there is no garbling of the lesson through generations of oral transmission.” As someone who has clearly devoted a large part of his life to living tradition martial arts, but who also argues for the need to reevaluate and reassess what you’ve inherited, what are your thoughts? First of all, high dudgeon about this is sort of silly. In a Japanese context, I often share bemusement when someone says that they want to recreate, say, a lost kusarigama or grappling school. Why would you do that when you can go to a teacher of a living school of those arts and help ensure they are passed on? But in a case like, say, the European longsword, it’s different. No such teacher exists. So if one’s passion is towards the ethos of the longsword, then what I called reinvention is their only choice. We only have so many years to live, and so many hours we are given to find happiness. If trying to study and restore a lost martial lineage fills your hours with joy, great. However, the idea that having original sources uncontaminated by “later generations” is somehow more pure is silly. I am a third generation, American Jewish guy from Pittsburgh who has 600 years of Euro-American tradition separating me from anything that happened in Europe in the 14th century. The same social, political and cultural changes that made the longsword extinct are what shaped the ethos that produced me. So without a surviving tradition, I am even further cut off from that earlier world. Beyond this — you don’t know what you don’t know. So much in any culture is oral, so how do we know what is missing. We can’t help but be contaminated by what we learn from other martial arts or our own external experiences. You have to accept that you cannot achieve the same things that can be drawn from a living transmission. These are the subtle things that make a particular tradition unique, and they can only be learned body-to-body. Living tradition is not just a series of documents passed hand-to-hand. It’s body-to-body knowledge, most of which is not documented. That is not meant in arrogant or hubristic way, vis-à-vis European martial arts revival, but this sort of internal gearing is what generational transmission can maintain but print cannot record. I am not questioning that people can’t come up with some fascinating information. Absolutely. But I believe that if I wanted to learn fencing and I found someone who studied with a student of Aldo Naldi, the information I can receive will very likely be richer, more nuanced and deeper than what I could learn mining texts of people who are not linked to me in a hand-to-hand, body-to-body way. Q. If there was a single objective, or a single lesson you wished to impart with OLD SCHOOL, what is it? That this subject is far more complex, far more exciting and far more challenging than people imagine. The lovely thing about koryū is that it is no one thing but many things, with as many appearances, practices and objectives as there are schools. Once we get past the idea that we are all swinging archaic weapons, and are therefore all doing roughly the same activities, things can change radically from tradition to tradition. When we embody the movements of someone 300 years lost who used these movements in the struggle of life and death, this is the closest we can get to shamanic “skin walking” in another body. For a few moments we can taste a different world, that can be completely alien to all our own. Q. So what next? With this new edition do you feel you’ve said your fill on traditional Japanese martial arts, or is there more to come? Well, right now I have just had a graphic novel released, via Amazon Kindle and on ComiXology, that I co-authored with Neal Stephenson, Mark Teppo and Charles Man. It is called Cimarronin: A Samurai in New Spain. This is from the blurb: Kitazume, a disgraced outcast samurai living in early seventeenth-century Manila, is contemplating ritual suicide when a rogue Jesuit priest and Kitazume’s longtime friend persuades him to help smuggle a Manchu princess to Mexico. But little does he know that he’s really been dragged into an epic struggle for power. Several forces have their malicious sights set on the New World’s rich silver mines: an insurgent Spanish duke, Chinese political interests, and the escaped African slaves known as the cimarrónes. Among other things, I am responsible for overseeing the fight scenes, along with some consultants specific to one or another character, and have tried to make them realistic to 1650, and to the various cultures. There is a great chance of fleshing out the hero’s backstory, if the original two story arcs sell well, as well as further sequels, so everyone buy it, please!. I also have a novel called the Girl With the Face of the Moon that was just released on December 30th, via Amazon Kindle. And this from that blurb: A young woman of samurai lineage is raised in an impoverished mountain village by bitter parents, identical to the peasants among whom they live, but for their ancestry. Unloved and mistreated, she runs off with a Matagi, a man of a caste of hunters, who were outcast but nearly free from the rules that governed the rest of Japanese society. After a few years of happiness, their child is stolen by a being perhaps human, perhaps not. Bereft, the young woman will challenge death itself to recover her child. The Girl with the Face of the Moon is set in Bakumatsu and Meiji Japan, a transitional period in the mid-1800’s, when Japan went from Medieval to Modern in only a few years. This, however, is not a book about the privileged few; rather, this is a story of those on the fringes: a blind wandering masseuse, the abalone divers, the aboriginal mountain folk, a wild yojimbo (body guard and bar thug both), the hunters who worship bears, seeing them as the true power of the mountains, and a woman with no place in any of Japan’s societies. The Girl with the Face of the Moon is a combination of two of the oldest stories of humanity, the hero’s journey and the tale of revenge: a mother seeking to save her child from hell. 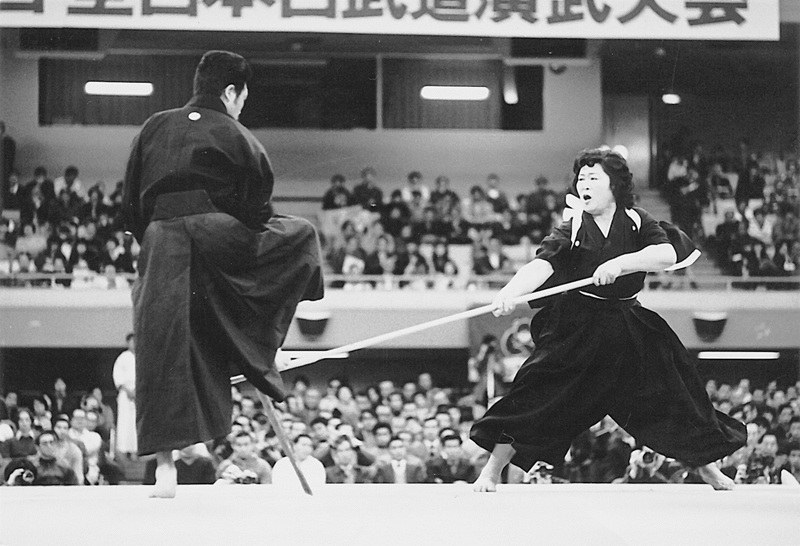 The description of the hero’s training and that of her allies are based on historical figures and the actual training methods and techniques of archaic Japanese martial arts, something the author learned, first hand, for thirteen years in Japan. Threaded throughout is the terrible question how one can retain one’s humanity, and even further, what happens to love, in a world of pervasive terror. So, I’ve been busy! But I have also thought of creating a new work on koryu. What I am imagining doing is taking people’s questions and challenges, and providing thoroughly researched answers in a series of essays like Old School itself. So it occurs to me that there might be one last work in me yet in regards to this amazing, odd world, but its exact form is yet to be known.